The history of video games goes back to the early 1950s, when engineers began designing simple computer games as part of their computer science research. However video gaming did not reach mainstream popularity until the 1970s and 1980s, when arcade games, gaming consoles and home computer games were introduced to the general public. Since then, video gaming has become a popular form of entertainment and a part of modern culture worldwide. It generates billions of dollars every year in revenue. The history of gaming can be traced back to 1940 when an engineer called “Edward Condon designed a computer for the Westinghouse display” at the World’s Fair. It played the traditional game Nim in which players tried to avoid picking up the last match. Later named “Nimatron,” tens of thousands of people played it, and the computer won at least 90% of the games. However since computers were expensive, their use needed to be justified as part of a serious scientific or research, gaming was slow to develop. In addition, due to the haphazard nature of early computer game creation and the lack of concern for saving early games, it is difficult to pinpoint the first video game ever created. Some of the earliest known games however include “Bertie the Brain (1950), and the Nimrod (1951)” . The NSS Chess Program was later developed at Carnegie University in (1958). It was the first chess program sophisticated enough to defeat a human. Again none of these reached the general public. One program that stands out in these early days was “Tennis for Two (1958). It was created by William Higinbotham” to entertain guests at the Brookhaven National Laboratory. This program showed a tennis court and allowed two players to volley a ball using box-shaped controllers. It proved popular with the public. But in the end widespread adoption of computers to play games had to wait for the machines to spread from serious academics to the general public and for the hardware to become affordable. By 1960, the Massachusetts Institute of main Technology (MIT) was one of the biggest centres of computer research in the world it was home to both the Lincoln Laboratory and the Artificial Intelligence Laboratory. These were important places for designing early gaming hardware. At MIT a custom-built early transistorized computer was produced. A computers expert called Steve Russell and his friends Martin Graetz and Wayne Wiitanen were attracted to the new computer company in 1961 called the Digital Equipment Corporation. They decided to exploit the new hardware by creating a game in which two human-controlled spaceships attempted to destroy each other by firing torpedoes. It was called “Spacewar! (1962). This game was programmed mainly by Russell” and it became one of the first computer games to achieve national fame. By the end of the 1960s, Spacewar! 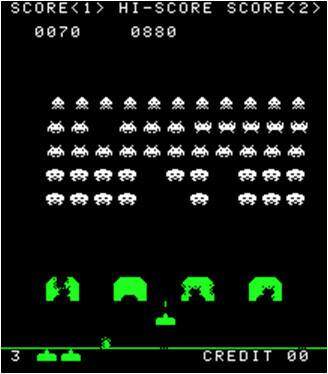 could be found in university computer labs across the United States and served as an inspiration for students to create their games.These creations remained trapped in the lab for the remainder of the decade, however, because even though some followers of Spacewar! Had begun to sense its commercial possibilities, it could only run on hardware costing hundreds of thousands of dollars. As computers and their components continued to fall in price, however, the dream of a commercial video game finally became attainable at the beginning of the 1970s.By 1969-70, however, that the price had dropped that gaming could seriously be considered for the coin-operated games industry. Computer Space, was the first commercially released video game. Its history goes back to a computer expert named “Nolan Bushnell who stood between the worlds of coin-op arcade games and computers” that would join forces to introduce the video game to the general public. Bushnell was an electrical engineering student at the University of Utah in the mid-1960s. while there Bushnell received exposure to computer programming. At the same time he got gaining work experience from maintaining the coin-operated games at the Lagoon Amusement Park. Upon graduation, Bushnell found work at a computer company called Ampex in Silicon Valley, where he was soon exposed to the Spacewar! Game. Bushnell immediately looked for a commercial avenue for the game and had the idea of developing a coin-operated version on a minicomputer. Bushnell set up “Syzygy Engineering to develop the game” . Using a minicomputer proved too expensive, however, so Bushnell used a new idea of controlling the cathode ray tube of a television to generate and move dots around the screen. This breakthrough allowed him to create a take-off on Spacewar! called Computer Space. It was released in 1971, Computer Space failed to sell its entire production run due to several factors including marketing problems and a complicated control scheme that alienated the working-class patrons that were the primary market for the coin-operated games at the time. “There was a second attempt to bring Spacewar! Into the arcade market called Galaxy Game” . This was developed by Hugh Pitts and Stan Tuck. It was too expensive for mass production. Both Computer Space and Galaxy Game proved popular with the sophisticated engineering crowd centered on Stanford University, but mass appeal had still not arrived. The games would have to cheaper and simpler to play. The development of a commercially successful video game industry eventually resulted from the work of Sanders Associates in Nashua, New Hampshire. It was at Sanders a scientist called Ralph Baer created an interactive game playable on a television set. In 1951 his boss told him to abandon the idea. A decade later, he tried again. He worked mainly with a co-worker named Bill Harrison, who built most of the actual hardware. Baer developed a series of systems that would send a video signal to a television set to generate spots on the screen that could be controlled by the player. As a company struggling in a recession, Sanders Associates was unable to launch a consumer product, but management saw enough potential in the Baer prototype to allow him to attempt to find a manufacturing partner. Baer went to every important television manufacturer in the United States, but received only a lukewarm response. After rejecting an offer from RCA due to bad terms, the company reached an with a company called Magnavox in 1971. “The Magnavox Odyssey was created in 1968 and later released in 1972” . Baer’s system was the first home console system and the first actual video game that transmitted a video signal to a television. The system launched with a dozen games included in the box. Four more sold with a separate light gun, and six games sold separately. The Odyssey sold under 100,000 units in 1972 leaving tens of thousands of unsold stock and upsetting plans to expand the product line. Magnavox almost dropped the Odyssey entirely at the end of the year, but decided to do a small second manufacturing run in 1973. Sales were low in part by the high price of the system. While the system failed to catch on in a big way its legacy would be the birth of a vibrant video arcade game industry. The next major step began with two researchers called Bushnell and Dabney founded Atari, Inc. in 1972. They released their game Pong. “Pong was the first arcade video game with huge success” . The game was based on table tennis. 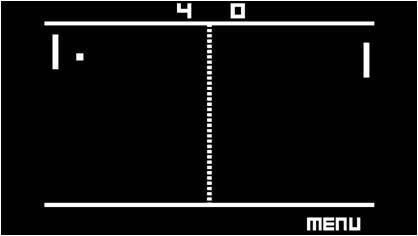 Allan Alcorn created Pong as a training exercise given to him by Atari co-founder Nolan Bushnell. Bushnell based the idea on an electronic ping-pong game included in the Magnavox Odyssey. This later resulted in a lawsuit against Atari. Surprised by the quality of Alcorn’s work, Bushnell and Dabney decided to manufacture the game. Atari sold over 19,000 Pong machines, spawning many imitators. In 1984, the original Atari Inc. was split due to its role in the video game crash of 1983, and the arcade division was turned into Atari Games The video game crash of 1983, known as Atari shock in Japan, was a massive recession of the video game industry that occurred from 1983 to 1985. Revenues had peaked at around $3.2 billion in 1983, then fell to around $100 million by 1985 (a drop of almost 97 percent). The crash was a serious event that brought an abrupt end to what is considered the second generation of console video gaming in North America. The crash almost destroyed the then-booming industry and led to the bankruptcy of several companies producing home computers and video game consoles in the region, including the fastest-growing U.S. Company in history at that point, Atari. It lasted about two years, and many business analysts of the time expressed doubts about the long-term future of video game consoles. 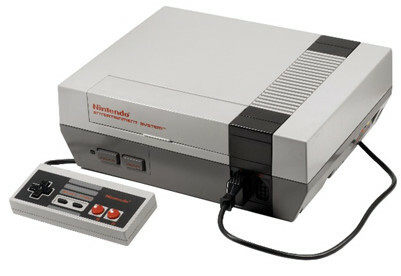 The North American video game console industry recovered a few years later, mostly due to the widespread success of the “Nintendo Entertainment System (NES)” , which was soft launched in New York City in late 1985 and had become extremely popular in North America by 1987. There were several reasons for the crash, but the main cause was saturation of the market. The full effects of the industry crash would not be felt until 1985. 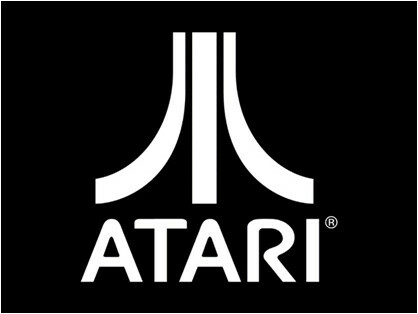 Atari Games later received the rights to use the logo and brand name with appended text “Games” on arcade games, as well as rights to the original 1972–1984 arcade hardware properties. The Atari Consumer Electronics Division properties were in turn sold to “Jack Tramiel’s Tramel Technology Ltd” ., which then renamed itself to Atari Corporation. In 1996, Atari Corporation merged with JT Storage becoming a division within the company. 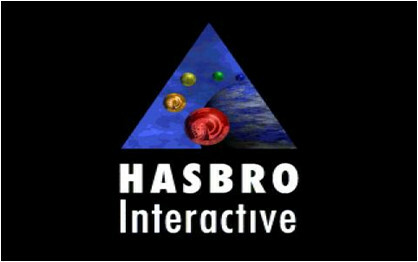 In 1998, Hasbro Interactive acquired all Atari Corporation properties from JTS, creating a new subsidiary, Atari Interactive. “Infogrames Entertainment (IESA) bought Hasbro Interactive in 2001 and renamed it to Infogrames Interactive”, later Atari Interactive in 2003. In conclusion the early days of computer gaming were very stop/start. It took many decades to make it to the general public. The issue was not the inventors there were plenty of them but the need for cheap computer hardware.